Remember, remember, the fifth of November, when the first annual China International Import Expo was held in Shanghai. It was a seismic event in trade history—a national-level exhibition centered on imports. Trump’s slant on protectionism has sent the World Trade Organization careening towards the abyss. China is sending a clear message to those flailing through the air: in the upcoming era of multilateral trade, we will catch you. The late economic historian Charles P. Kindleberger, who was president of the American Economic Association in 1985, once said the United States’ mission after the Second World War was twofold. The U.S. was the trailblazer of international free trade, and also the watchman who monitors the long-term stability of the global economy. In times of economic crises, the U.S. was expected to play the dual roles of “buyer of last resort” and “lender of last resort.” That is to say, if ever the global economy tips towards recession, America must increase imports to drive product demand, stimulate trade, and protect the open market. If the international financial system shows signs of impending systematic financial crisis, America must extend credit to keep the system solvent. Donald Trump is attempting to narrow the trade deficit and bring manufacturing jobs back to the States through protective tariffs. This shows that the U.S. is shedding its burden as the buyer of last resort. If no other supersized economy steps in to fill these very big shoes, the existing multilateral trade system may collapse under a wave of global protectionism. In 2015, China surpassed the U.S. as the world’s largest trading nation. It has been the world’s largest exporter of goods since long before that. 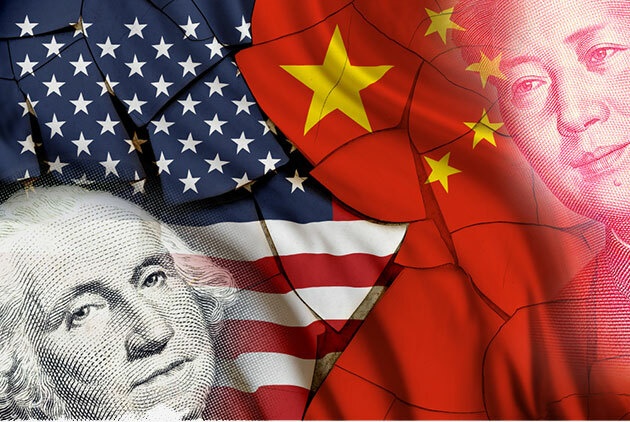 In 2017, the United States imported 2.3 trillion dollars’ worth of goods, compared to China’s 1.8 trillion—about 20% less. But the gap is closing. Eventually, China will overtake the U.S. as the world’s largest consumer market and importer of goods. The Trump administration recently reshaped the NAFTA trade agreement with Canada and Mexico in a deliberate attempt to slip in a poison pill provision targeted at “non-market economies” (read: China). The provision gives Washington effective veto rights if Canada or Mexico ever negotiates a free trade deal with China. In the escalating trade war between the two superpowers, the U.S. has just fired a shot across China’s bow. The U.S. can expect Canada and Mexico to fall in line because more than 70% of their export goes to the States. But do not think the rest of the world will meekly comply. America’s allies in the Asia-Pacific have grown to rely on China for trade. China’s trade with the EU is also catching up to the U.S. If push comes to shove, these nations may refuse to pick a side. In the world of trade and realpolitik, there is no such thing as the Good Samaritan. China craves the mantle of “buyer of last resort” so it can assert its influence in the WTO, as well as deter the U.S. from compelling other countries to adopt similarly hostile trade policies. In the long run, China is stacking the deck in its favor as the global multilateral trade system begins to reshuffle.